ARM7 Development Board is a powerful platform which comes with a micro controller on-chip memory. 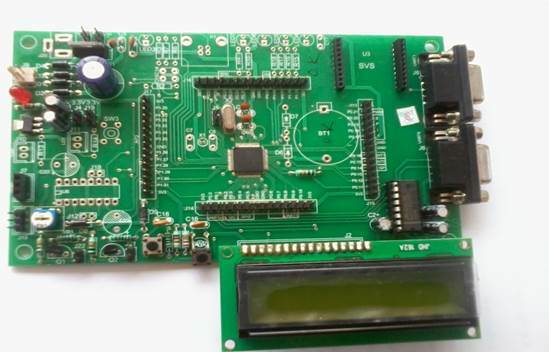 These boards are ideal for developing embedded applications like high speed wireless communication, real time data monitoring and control, interactive control panels and USB based data logging. Manufactured from double sided PTC and PCB material, these boards provide extra strength to the connector joints for increased reliability. ARM Seven Development Board can support the operating supply voltage ranging from 9V to 15V and comes with a built-in reverse polarity protection. ARM7 LPC2148 development board and also projects support board. THIS BOARD SUPPORTS ALL THE COMMUNICATIONS.